Daniel D. Bradlow is Professor of Law at American University Washington College of Law in Washington, D.C and the SARCHI Professor of International Development Law and African Economic Relations at the University of Pretoria, South Africa. He is the Chair of the Roster of Experts for the Independent Review Mechanism at the African Development Bank, and a member of the Boards of Directors of ILEAP (International Lawyers and Economists Against Poverty) and New Rules for Global Finance. 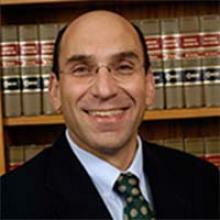 He is also a member of the Executive Council of the American Society of International Law. His current scholarship focuses on global economic governance, the international financial institutions, creative financing for development, and the international legal issues that arise at the interface of large projects and sustainable and equitable development. He has worked as a Senior Special Fellow in the Legal Aspects of Debt and Financial Management Programme of the United National Institute on Training and Research (UNITAR), and has been a Consultant to the World Dams Commission, MEFMI (The Macroeconomic and Financial Management Institute for Eastern and Southern Africa), Pole-Dette, the World Bank, the African Development Bank, the Commonwealth Secretariat, UNESCO, the United Kingdom’s Department for International Development and the MacArthur Foundation. He served as a member of the International Law Association’s Committee on Accountability of International Organizations and is currently the Co-Rapporteur of the International Law Association study group on the same topic. He has lectured in the United States and many countries in Africa, Asia and Latin America on both the public and private aspects of international economic and financial law and on the negotiating and structuring of international economic transactions. Prior to joining WCL, Professor Bradlow was a Research Associate at the International Law Institute and a consultant to the United Nations Centre on Transnational Corporations, as well as an attorney in private practice. His publications include books and articles on international financial law, the international financial institutions, foreign investment, inspection mechanisms in international financial institutions, regulatory frameworks for water, dams and dam safety, globalization and its implications for global economic governance and the changing responsibilities of the World Bank and the IMF in the management of the global economy. Professor Bradlow holds degrees from the Universities of Pretoria and the Witwatersrand in South Africa, and Northeastern University and Georgetown University in the USA and is a member of the New York and District of Columbia Bars. Prior to joining WCL, Professor Bradlow was a Research Associate at the International Law Institute and a consultant to the United Nations Centre on Transnational Corporations, as well as an attorney in private practice. His publications include books and articles on international financial law, the international financial institutions, foreign investment, the World Bank Inspection Panel, regulatory frameworks for dams and dam safety, globalization and its implications for global economic governance and the changing responsibilities of the World Bank and the IMF in the management of the global economy. Professor Bradlow holds degrees from the University of Witwatersrand in South Africa, and Northeastern University and Georgetown University in the USA and is a member of the New York and District of Columbia Bars.